I never said the finds had to be NEW....this is a really cute set from LimeLove - I love her stuff. 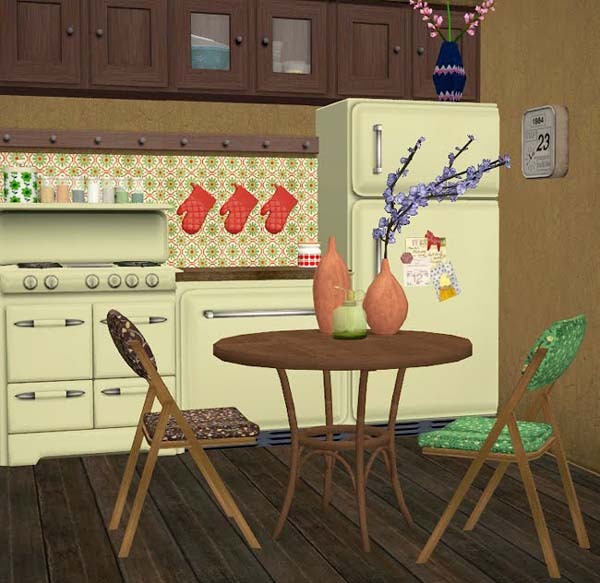 Just a little set of recolors of a really cute old style chair by Aroundthesims & of a new table by Garden Breeze. All meshes are included in the download.